This article is meant to assist you with exporting data from extendedReach. Agencies utilize data from extendedReach for a variety of reasons. 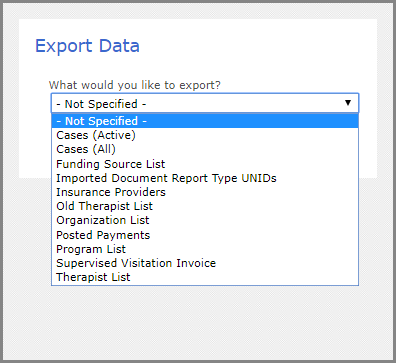 Custom data exporting allows your agency to manipulate data for other purposes. You must be an Agency Administrator to access “Administration” on the left side of your Workspace. 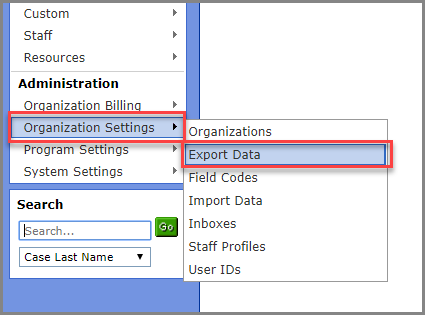 Hover over Organization Settings and click on Export Data. Select what you would like to export, from the drop-down menu. Select up to two date parameters, and click on “Submit”. Click on the “Download File” button once the system has generated the data for export. Click on “Open” file to view data. View Data. You can save from here, or manipulate your data to your liking.